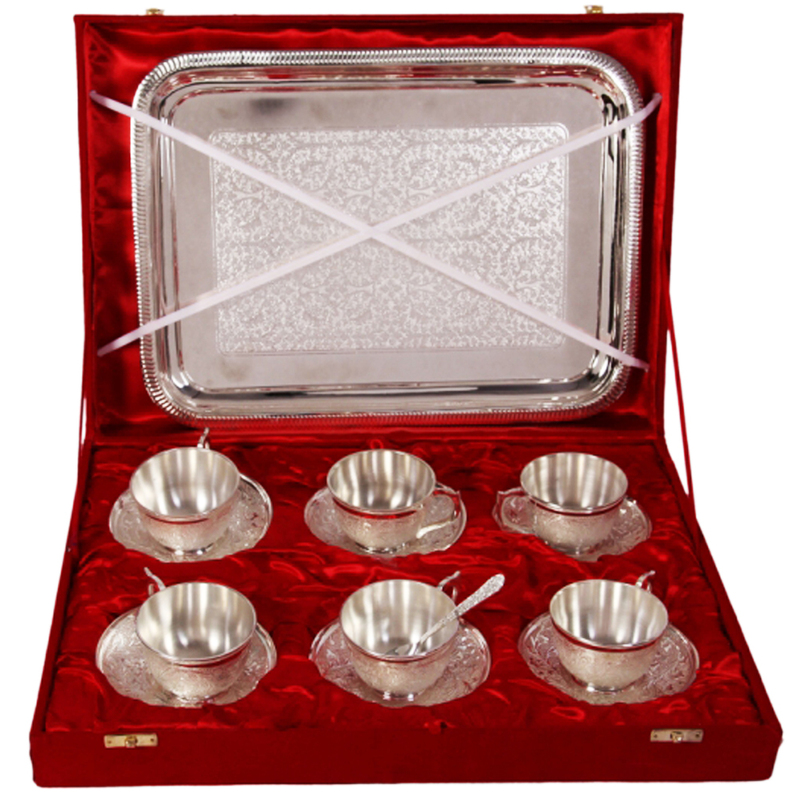 The 6 Cup & Saucer Set with Serving Tray in German Silver provides the ideal opportunity to its owners to make a clear statement about Read More..their refinement of taste by serving food and beverage in such finely crafted pieces. The ornate design on display on the cup and saucer set is the perfect way to welcome guests, while the classy serving tray provides for a more convenient experience to the users without compromising with aesthetics. Thus, it is bound to appeal to lovers of cutlery sets with such refined taste of aesthetics. Show Less..